​Did you know that Tradebe's East Chicago, IN facility is one of the few facilities in the US with on-site cylinder processing capabilities? Our state-of-the-art technology utilizes a reaction vessel and scrubber system to process the gases for disposal and includes cylinder decommissioning and scrapping of the cylinder vessel conducted under a nitrogen purge. Tradebe’s experienced team of technical cylinder specialists manage thousands of cylinders each year that come from a wide variety of generators who trust Tradebe’s knowledge and experience. Our team is uniquely qualified to manage your compressed gas cylinders with extensive training and knowledge on the Compressed Gas Association, (CGA), standards and markings. Tradebe Accepts All Common Types of Cylinders. 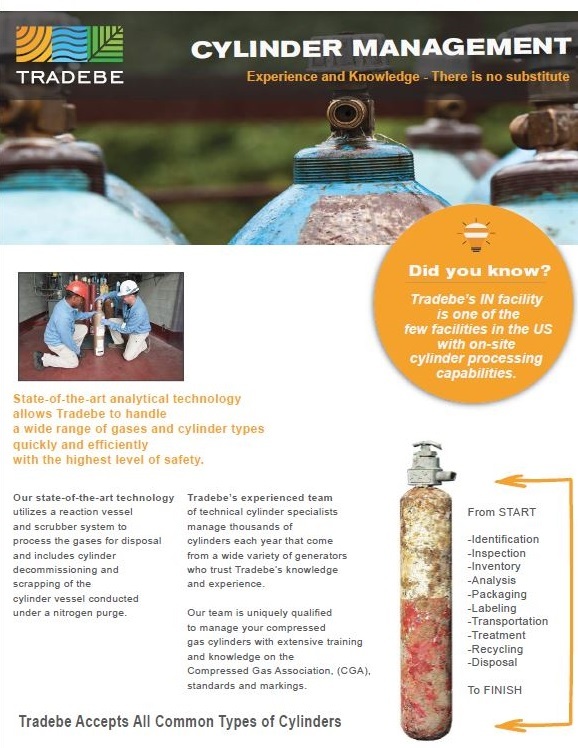 Tradebe’s team will work with generators to identify, handle, repackage as needed and properly dispose of unknown gas cylinders that others may not be able to accept. Need to dispose of your old propane or other compressed gas cylinders? Tradebe provides Turnkey Gas Cylinder Management including removal, Gas Cylinder Disposal and Recycling. Contact us now and let us put our expertise to work for you! The following content was shared with you: https://www.tradebeusa.com/cylinders Text ​Did you know that Tradebe's East Chicago, IN facility is one of the few facilities in the US with on-site cylinder processing capabilities? Our state-of-the-art technology utilizes a reaction vessel and scrubber system to process the gases for disposal and includes cylinder decommissioning and scrapping of the cylinder vessel conducted under a nitrogen purge. Tradebe’s experienced team of technical cylinder specialists manage thousands of cylinders each year that come from a wide variety of generators who trust Tradebe’s knowledge and experience. Our team is uniquely qualified to manage your compressed gas cylinders with extensive training and knowledge on the Compressed Gas Association, (CGA), standards and markings. 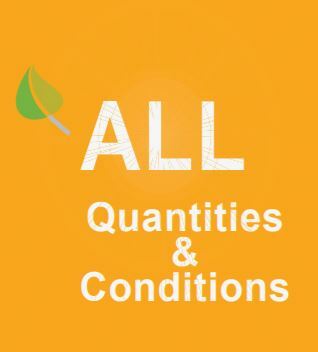 Tradebe Accepts All Common Types of Cylinders. 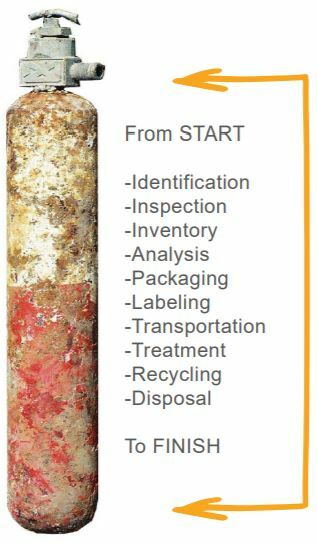 Common Types of Gas Cylinders Tradebe Processes include: Non-RCRA Flammable Corrosive Toxic and more Unidentified or unmarked cylinders? Cylinders with inoperable valves? Damaged cylinders requiring containment? Leaking cylinders requiring repackaging? ​​ Tradebe’s team will work with generators to identify, handle, repackage as needed and properly dispose of unknown gas cylinders that others may not be able to accept. Need to dispose of your old propane or other compressed gas cylinders? Tradebe provides Turnkey Gas Cylinder Management including removal, Gas Cylinder Disposal and Recycling. Read more on Tradebe's Cylinder Management services now: Need help with Cylinder Services or to Request a Quote, Contact us now and let us put our expertise to work for you!